I assume that a lot of you want to enjoy special chocolates and desserts on Valentine’s Day. 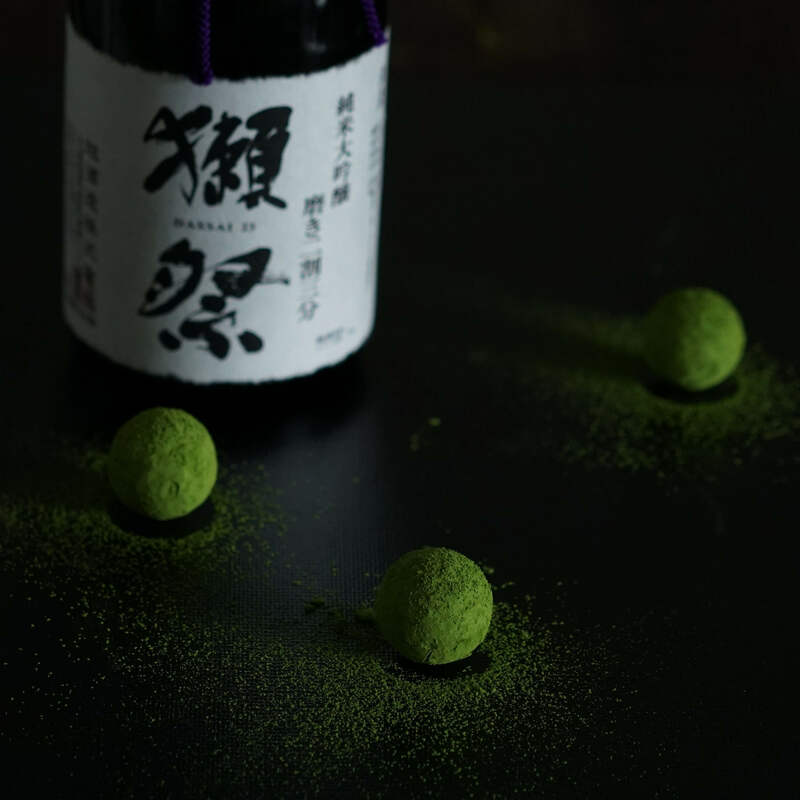 In this article, I will introduce to you some recommended desserts using Japanese ingredients such as “matcha” and “azuki” beans. 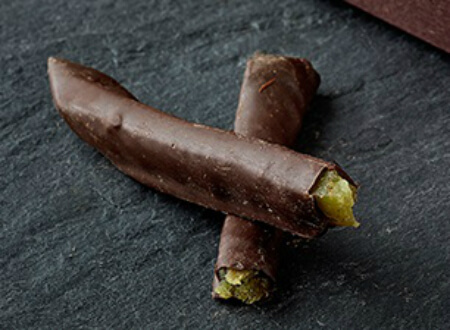 This is a collaborative product of “Zetaiku Chocolate” which uses rare cacao beans and “Jukusei Hoshiimo,” a sweet potato brand called “Beniyuka” which has been aged. The sweet potatoes used in this product are aged inside a special storage room maintained at a moderate temperature and humidity. The product has a soft and chewy texture and has a rich sweetness. This item sold more than 45,000 pieces within 3 months at the main store of Ito Kyuemon Uji, and it is now on sale at their official online shop. 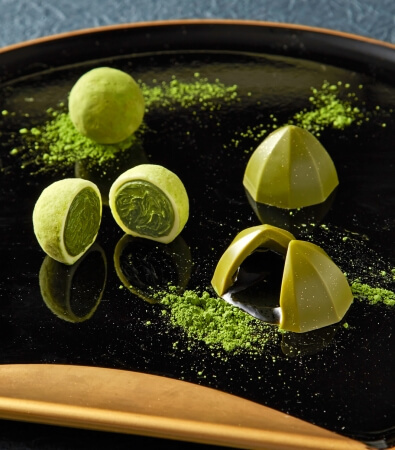 You can enjoy this layered matcha chocolate. This Valentine gift which has the superb color, taste and scent of quality tea ground using grindstone, is suitable to be given to your precious person. 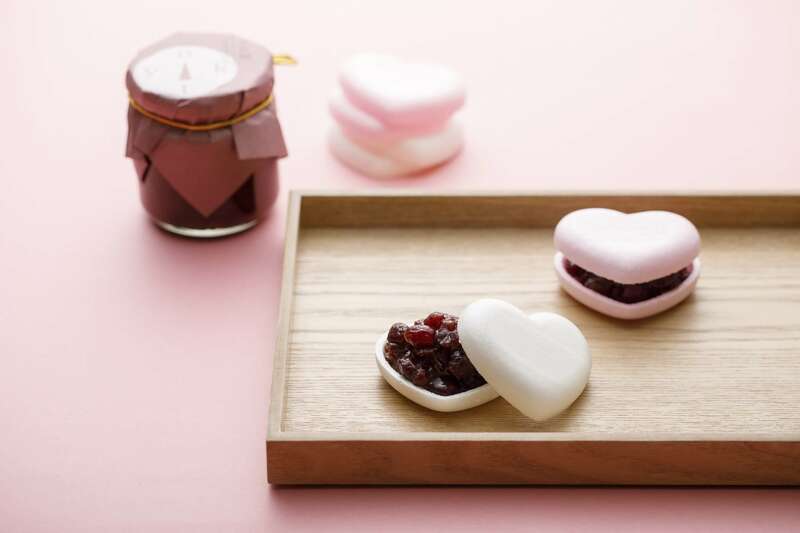 “Nagomi” is a product that comes with “anbin” made with Noto Dainagon Azuki Beans and it is a heart-shaped monaka (bean-jam filled wafer). Noto Dainagon Azuki Beans produced in Noto Peninsula, Ishikawa Prefecture is larger than other normal Dainagon Azuki Beans. Since a special technique is necessary when the beans are boiled, so that their shape is maintained, only a handful of artisans of Nakataya can create this product. The product is made by using a bronze kiln which has been used since the maker started their business and they are putting their effort into maintaining the freshness of the ingredients. Junmai Daiginjo uses the world-famous nihonsyu, (Japanese sake) “Dassai” which is made of Yamadanishiki rice and therefore it has a fabulous scent, sweetness and rich aftertaste. The product is a gorgeous truffle which is combined with “Dassai” Junmai Daiginjo, sake lees and ujimatcha. Valentine Soft which is sold at Gion Tsujiri’s Tokyo Sky Tree Town Soramachi Store for a limited time offer has an adult-like atmosphere using rich-tasting “Hojicha Soft” as its main ingredient and cocoa waffle corn and chocolate brownies. It is a gift recommended as a gift for adults because of its sweet/sour raspberry mousse and raspberry gummi candy. ※please note that the quantity of the product is limited. 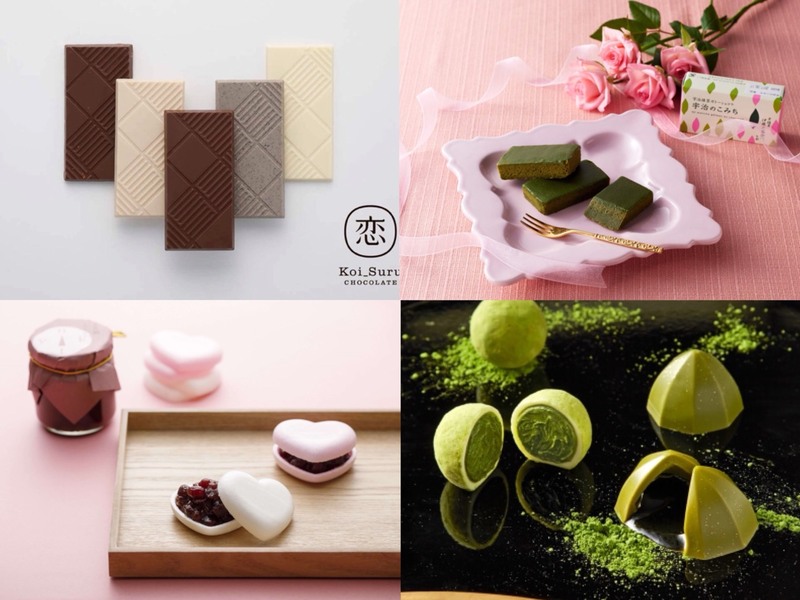 Fukujuen started selling Valentine chocolates using quality tea leaves. 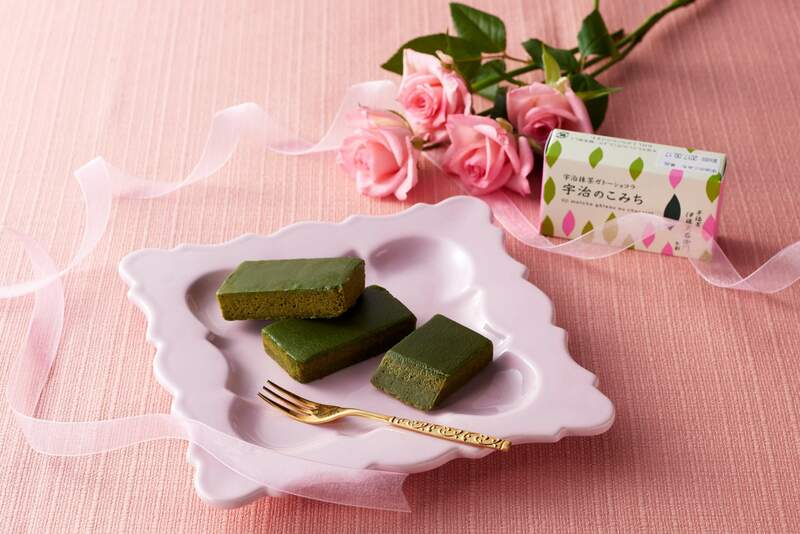 Their new products include “Carre de cha (tea ) colate” where you can enjoy the cruchy texture of tea leaves, “Matcha Truffle” using matcha truffle and Uji Matcha and “Matcha Mitsu” where matcha mitsu (syrup) is wrapped with rich-smelling matcha chocolate. Ishiya Co. Ltd. which produces the famous confection, “Shiroi Koibito” started up the new chocolate brand “ISHIYA CHOCOLATE” and will begin sales of “Koisuru Chocolate.” “Koisuru Chocolate” is a chocolate bar which uses the same chocolate as “Shiroi Koibito” and they will use strictly selected ingredients produced in Hokkaido such as salt of Saloma Lake and corn. 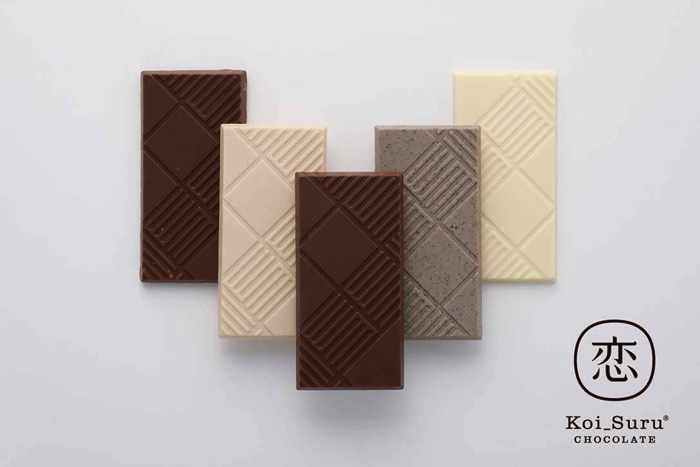 The recipe of the product is simple and natural but it is a very Hokkaido-like chocolate which has excellent aroma and texture. How did you like our introduction to Japanese-style Valentine’s Day chocolates? 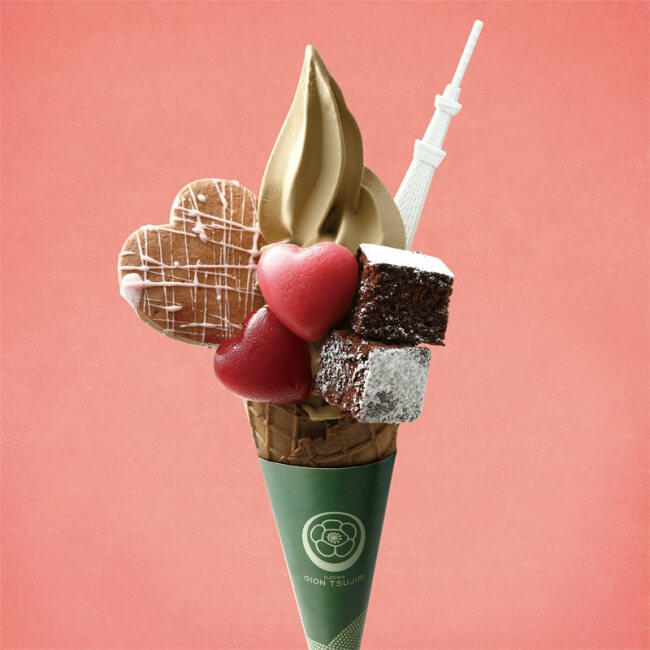 Why not enjoy a Japanese-style Valentine’s Day.